impeachment of Nebraska Attorney General « Hercules and the umpire. I have known Bill Barrett since 1974. 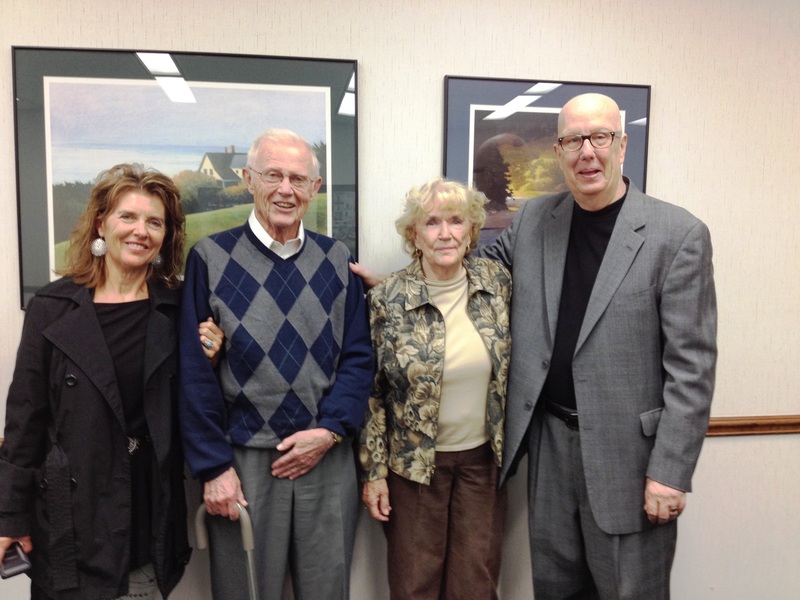 Our firm represented Bill and his insurance, real estate and appraisal business. Ed, my law partner, and Bill grew up together in Lexington, Nebraska and were fast friends. Bill was born in Lexington on February 9, 1929. He was educated at Hastings College in Nebraska, and served in the United States Navy. If you met Bill, you would instantly like him. He genuinely cares about people, and that trait is as evident as his warm laughter, his modesty and his obvious intelligence. You would never know, however, that Bill was one of the most influential Nebraskans of the 20th century. When Bill returned to Lexington after college and the Navy, he quickly became active in the Republican Party. He was the head of President Ford’s reelection effort in Nebraska, he served in that same capacity when George Herbert Walker Bush ran against Ronald Reagan for the Republican nomination for President and Bill became chairman of the Nebraska GOP. Soon after I first met Bill, his electoral star was ascendant. In 1978, Barrett was elected to the unicameral Nebraska Legislature. He served in that body for roughly 13 years until his election to Congress. He was speaker of the legislature from 1987 to 1991. In 1983, Bill hired me to represent the Nebraska legislature regarding the Commonwealth Savings debacle and later regarding the impeachment of Nebraska’s Republican Attorney General. Bill’s courage in standing against the Attorney General, a heavy hitter in Republican circles, was extraordinary. State Senator William Barrett, a former Republican state chairman, offered particularly damaging comments. He recited how Douglas received a $371,814 check from Marvin Copple’s secretary on Dec. 27, 1977, for the sale of undeveloped lots but later said he could not recall whether he had received the check or whether the money came from Commonwealth. The same day the check was deposited, Senator Barrett said, Mr. Douglas repaid a loan from Marvin Copple with a check for approximately $320,000. Mr. Douglas has contended the transactions of buying and selling land were but an unconventional way of paying him and and another lawyer, Paul Galter, for doing legal work for Mr. Copple on real estate development projects. See also PROSECUTION RESTS IN NEBRASKA OFFICIAL’S IMPEACHMENT TRIAL, New York Times (March 28, 1984); State v. Douglas, 349 N.W.2d 870 (Neb. 1984). In 1991, Bill was elected to Congress to represent the vast Third District of Nebraska. His district was one of the largest and most rural congressional districts in the nation. With nearly 63,000 square miles encompassing 66 counties, Bill returned from Washington, D.C., almost every weekend to see and hear his constituents. That was both remarkable and exhausting at the same time. It meant flying from D.C. to Denver or Chicago and then to Lincoln on a small plane, and after that a car drive of six to seven hours if he was heading to the western end of the district. Yet, from January 1991 to December 2000, Barrett missed only 63 of 5,795 roll call votes. See gov.track.us. This was far better than the median of the lifetime records of all representatives who have served up to and including Dec 2000. Id. The trusting relationships Bill built with his constituents was evidenced by the fact that he was re-elected by more than 75 percent each term, gaining votes from Republican and Democrats alike. In fact, in the 1998 election, Bill had neither Democratic nor Republican opposition in the primary and general elections. Bill served five terms until 2001, and then at age 72 he decided not to seek relection instead preferring to rest and recoup and spend time with his beloved wife Elsie, his children and grandchildren. Of course, Bill returned to his hometown, Lexington, eschewing the allure of retirement in Washington, D.C. When Bill was in Congress he was fiscally conservative, but objective third-party observers have recognized that Bill was an ideological moderate. See, for example, the scatter plot showing Bill’s ideological position relative to other members of the House prepared by gov.track.us. While in Congress Bill successfully sought key committees–the Agriculture Committee and the Education and Workforce Committee. He worked hard to keep these posts because of their importance. His increased seniority helped him to continue to work effectively for childcare, education, health care, rural development, agriculture and other vital issues. Bill served three terms as chairman of the Agriculture Subcommittee on General Farm Commodities and vice chairman of the full committee, all of which positioned him to help write two Farm Bills. On a personal level, Bill came to and spoke at my confirmation hearing. See HEARINGS BEFORE THE COMMITTEE ON THE JUDICIARY, UNITED STATES SENATE ONE HUNDRED SECOND CONGRESS SECOND SESSION ON CONFIRMATION HEARINGS ON APPOINTMENTS TO THE FEDERAL JUDICIARY, at p. 4 (Thursday, May 14, 1992). That was the one and only time I ever heard Bill stretch the truth. In short, Bill Barrett is a good, modest and smart man and one of the last Republican moderates. I am honored to call Bill my dear friend. Although he is 85 years old and he is physically frail, Bill’s mind and sense of humor remain sharp as ever and his warm smile still lights up a room. I cannot express adequately how happy that makes me.